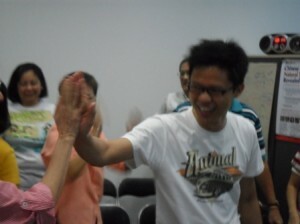 LOHAS Meridian Graduates’ Gathering is part of the continuous support we provide to all our existing and past participants of LOHAS Meridian Self-Therapy Program (LOHAS-MSP). A regular gathering to help participants enhance their learning. 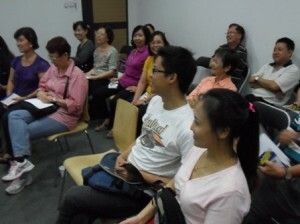 Each gathering will update participants or graduates with recent case studies and various health topics and how to use LOHAS-MSP techniques or other natural remedies for to improve their health and take care of their loved ones. The next gathering is on 30 March 2.30PM – 4.30PM. It’s a complimentary lifelong update session for all graduate. Please register with Li Huan to reserve a seat. 1) Are You Eating Too Healthy? 1) Strenghen Qi & Blood. 1) Care for your longest meridian. 1) Digestive health – A closer look. It was a wonderful Sunday where we see big turn out of our past graduate. As we entered the new year, many would have set their new year resolution either be healthier, be happier, be more prosperous or achieving goals, Beacon LOHAS always set the best intention for the graduates to achieve more in life. 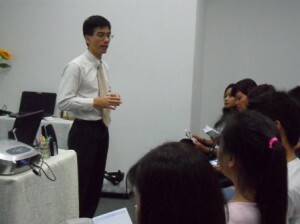 This year, the very first gathering of 2013, we have lined up experts in meridian health, feng shui and wealth accumulator practitioner to share their knowledge and practical experiences to our graduate. As the Chinese saying “好的开始，是成功的一半“，which means “begin with a good start help in our success rate”. 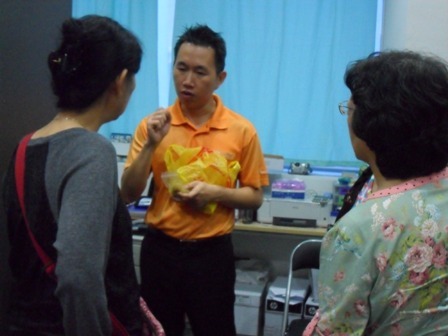 We sincerely hope to equip our graduate with the right knowledge (aka good start) for their 2013 goals. We always believe knowledge is the best investment to individual – one time learning, multiple uses. The more we use knowledge, the better we are. As our usual ritual, we started our program with LOHAS Meridian Exericse (basic), our signature routine that has helped many people improving their health effectively. Our graduate gathering is always a good time to meet graduates from different batches as each of them have their own story, how they put LOHAS Meridian Therapy knowledge into practice and how it benefited them. 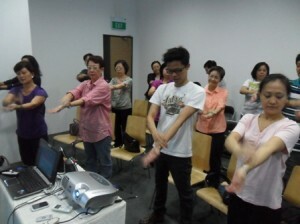 Peng Tatt has shared some updates on Beacon LOHAS activities, including this year bigger project as well as how to be “Healthier During Chinese New Year“. There are plenty of small little things that makes a lot of difference. Watch out for our LOHAS DIGEST 38. 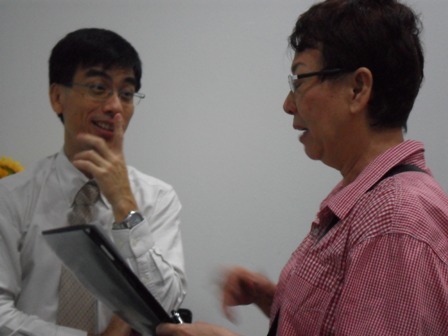 Of course, we have our feng shui expert, Hoo, talked about 2013 outlook based on water and fire energy, another interesting tip he shared was a simple walking action to perform during the first 15 days of Lunar New Year. It’s practical and it doesn’t cost anything. In fact, it is a healthier thing to do because walking help weight management too. 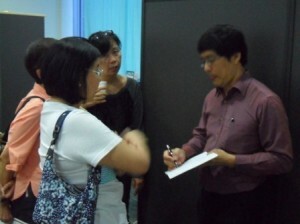 During the tea break, Hoo was busy answering question from keen participants. 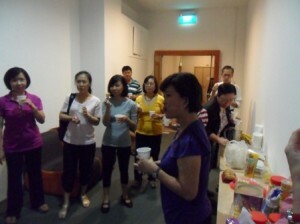 Of course, not to forget, the wonderful food, tidbits, nuts, kueh, cakes brought by our graduates. The last highlight of the gathering was to have Brennen sharing how he accumulated his million dollar asset despite financial set back of $100,000. Everybody seemed to enjoy the story how a “bus discount stamp” collector becomes a millionaire. Of course, as the new year is coming, Peng Tatt likes to give goodies during this gathering. Firstly, he announced that all graduates can attend the LOHAS-MSP (worth $360) for free. It is like a lifetime membership once you become our graduate. Secondly, Peng Tatt helped to negotiate a good deal (30% discount) for all the participants who wanted to attend Brennen’s upcoming 1-day investment workshop. It was such a good offer, some even want their friend to attend together. As usual, the session ended late due to the content. 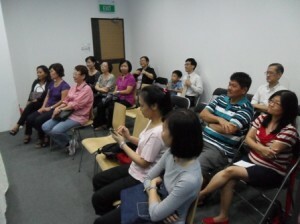 However, many stayed back to ask the three experts on the area of their interest. Improving Qi and respiratory system. 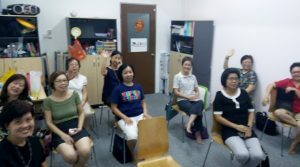 It was a good session for us at Beacon LOHAS because in one afternoon, we are able to see so many wonderful people who has supported us for years . Thank you all graduate who make it and who can’t make it last minute. Wishing all of you “Happier, Healthier, Wealthier” year.